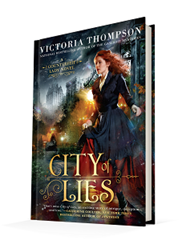 Published November 7, 2017, by Berkley City of Lies by Victoria Thompson is the first in her new series that challenges a woman’s role in 1920’s America with grit, hardships and cleverness. 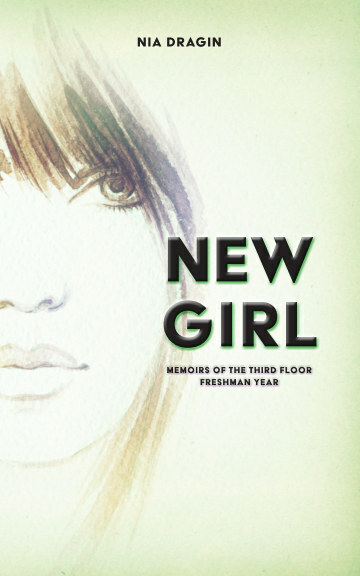 The most amazing aspect of this novel is the fact that it empowers women in so many ways. The first way is, of course, Elizabeth. As a character, Elizabeth is a grifter, so in real life, this would be a person one wouldn’t necessarily trust, one would always be second guessing everything they have to say. But as a character, her personality is so vibrant, and she’s more than just a grifter, she’s something more. Elizabeth is an empowered woman who grows throughout the novel. After a con goes wrong, she finds herself swept up in the suffrage movement of the 1920s. This opens a new world for her, and it allows her character to grow throughout the novel. She sees the people around them and through seeing them, seeing how powerful they are and how they are fighting for things that would have kept Elizabeth from being a “proper woman” she understands that they are more alike than naught. It’s a slow and steady journey, one that is covered by ulterior motives, but one that allows her to grow nonetheless. Everything she does is not without a note of compassion and understanding, even if underlined by self-serving motives. It’s an exciting depiction because it allows the reader to connect with the character and see the world in a shade of gray. She may be a con artist, but she’s not evil, unlike the man she unfortunately conned. Elizabeth shines as she comes to understand this new world that she has never seen before, and as far as character enrichment goes, Thompson does a fantastic job with Elizabeth. However, the novel goes beyond Elizabeth as it weaves historical facts in with LGBT issues alongside women’s rights. Even today those rights are slowly being threatened and to see the women in this novel remain influential in the face of all the hurdles being thrown at them is encouraging. It leaves the reader with hope and an understanding that rights, fundamental human rights, and decency, should not be taken away from anyone and should not be taken lightly by anyone. The women here had to fight for their rights, and not just on the street; they had to compete in their own homes for their voices to be heard. For the novel to explore all that with the characters and this period gives the reader a lot to relate to. It’s a fantastic story and not at all what I thought it was going to be about. It’s fast-paced and even as the story grows, evolving from one moment to another, bringing these characters together, the tense moments add some flare to the drama without making the story heavy with drama. This time period was one in which being a woman was hard, but there’s no reason there shouldn’t be some life to it, some scandal and schemes realistically built to ground the novel and make it riveting.